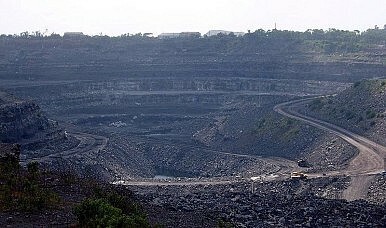 A scandal over the allocation of coal fields by the UPA government could put the 2G scandal in the shade. The Times of India has just published a report by the Comptroller and Auditor General (CAG) stating that the government lost billions by not auctioning off coal fields, instead favoring about 100 entities in the allocation of 155 coalfields between 2004 and 2009. The losses incurred were allegedly six times bigger than the 2G scam. The UPA government did, though, receive an important assist from none other than the CAG itself. The CAG wrote a letter to Prime Minister Manmohan Singh categorically denying the accusations against the UPA in the news reports. The matter is particularly serious in light of the fact that Singh held the coal minister’s portfolio for much of the UPA’s rule, and is said to have been in charge of the portfolio when the alleged scam took place. The opposition for its part used the media reports as an excuse to stall proceedings in both houses of parliament. Even the Samajwadi Party, which bailed the government out over the National Counter Terrorism Centre issue, joined the main opposition Bharatiya Janata Party and the Left parties in criticizing the government over these latest claims. Union Coal Minister Sriprakash Jaiswal, meanwhile, asserted that the coal blocks were allocated only after all the state governments were consulted, and added that the government had placed advertisements in newspapers and invited bids for the coal fields in question.